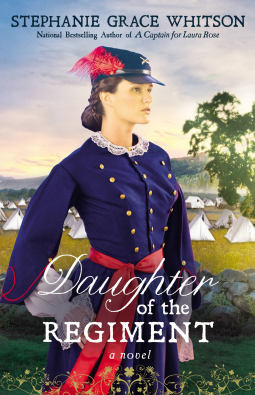 A Civil War romance with depth, Daughter of the Regiment is a great read. Typical American History recounts the Civil War from two separate sides, and Stephanie Grace Whitson tells a great PG-romance from the view of two women in Missouri stuck at opposite ends of the conflict. Maggie, the only female in the Malone Irish-immigrant family, has two brothers who have joined the Union. In contrast, Elizabeth Blair has served as hostess for her wealthy brother, who’s political ambitions drive him to create a local militia for the Confederacy. I love the female perspective of a usually male dominated war – and paired with the contrasting women make this a romance with historical depth.